Irish filmmaker Phelim McAleer released a documentary directly challenging the first "GasLand" film. McAleer’s"FrackNation" came out earlier this year. In it, McAleer raises questions about a critical document; a drilling lease shown in "GasLand." McAleer says the document has a different history. "FrackNation" claims it was actually put together by a group of landowners in Fox’s area, the North Wayne County Property Owners’ Alliance (NWPOA) and not, as Josh Fox says in "GasLand," provided by an oil and gas company. In our interview (at the bottom of our story, here: http://bit.ly/18o9kkb) with "GasLand" director Fox, we asked about the lease. The question drew a strong reply from Fox. When asked about the lease, Fox asked to stop the recording, we declined. The tone of the interview changed at this point and Fox went on to say he and his father were a part of negotiations over the lease with the NWPOA. That is a detail is not included in "GasLand." Fox told us he and his father pulled out at the last minute. 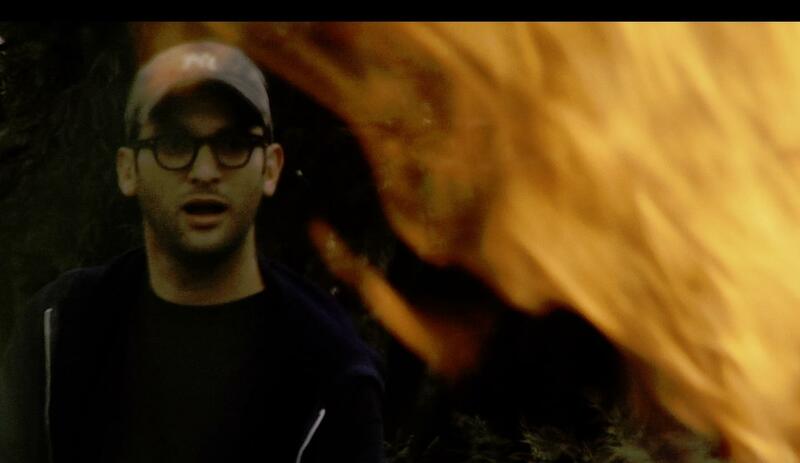 Portions of our interview with Josh Fox interview (without our knowledge or sanction) were then added into a short video by McAleer. "Yes. We became members August 30th 2008 and dropped out formally in 2009. Here is the email addressed to my father's email address from NWPOA which proves our membership.” Attached you will find the email with Michael’s domain redacted. You can see that image here on the right hand side of this article. Aspen Public Radio has asked NWPOA for their response. 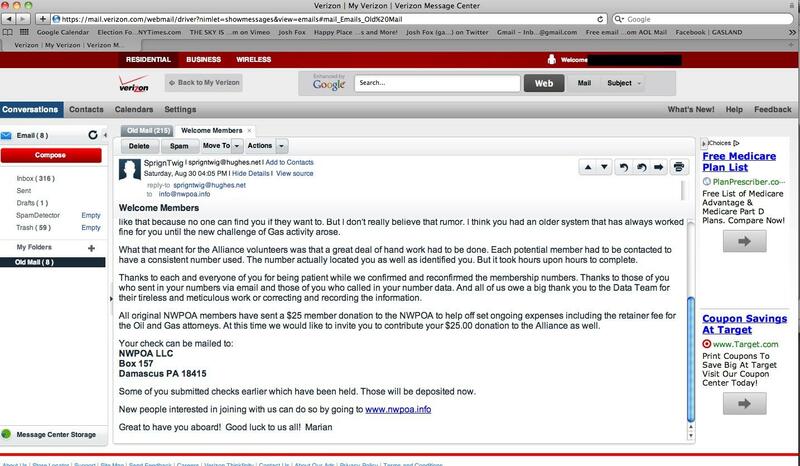 Image of email, allegedly sent to Michael Fox, provided August 16th, 2013 by representative for Josh Fox. Image has not been modified by Aspen Public Radio. In the meantime, conservative publication The Daily Caller has picked up the story, which you can read here. Oil and gas activists peppered Governor John Hickenlooper with questions this weekend. At first they protested outside the St. Regis hotel, hoping to catch Hickenlooper and other democratic governors in a conference. When Colorado’s governor didn’t come out to talk, demonstrators followed him to the Aspen Institute... where Hickenlooper appeared to get flustered after a barrage of questions. Some of Colorado’s top oil and gas promoters are worried that lawmakers... and residents... don’t understand the industry. In the coming months, the Colorado Oil and Gas Association plans to talk with both about the effects--and benefits--of drilling. The group hopes to, in their words, change the conversation about the industry... especially in Colorado’s legislature. 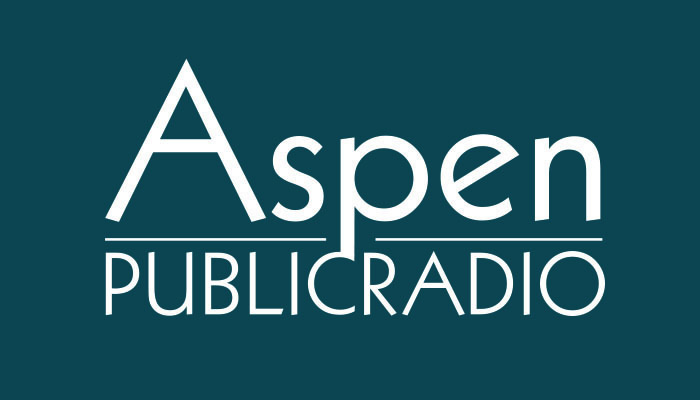 Aspen Public Radio’s Elise Thatcher recently spoke with Doug Flanders. He’s the Director of Policy & External Affairs for the Colorado Oil and Gas Association. She asked Flanders why.